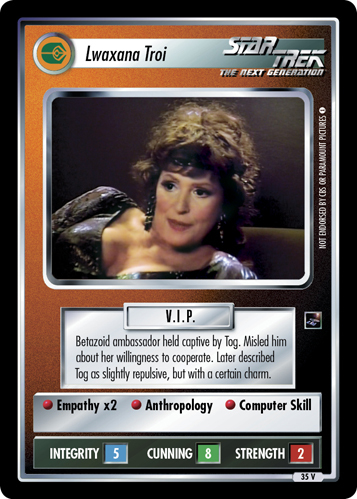 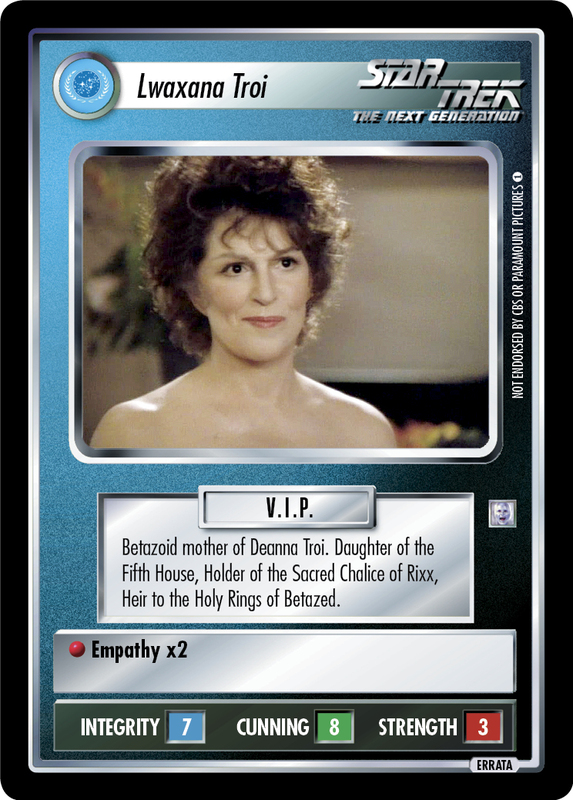 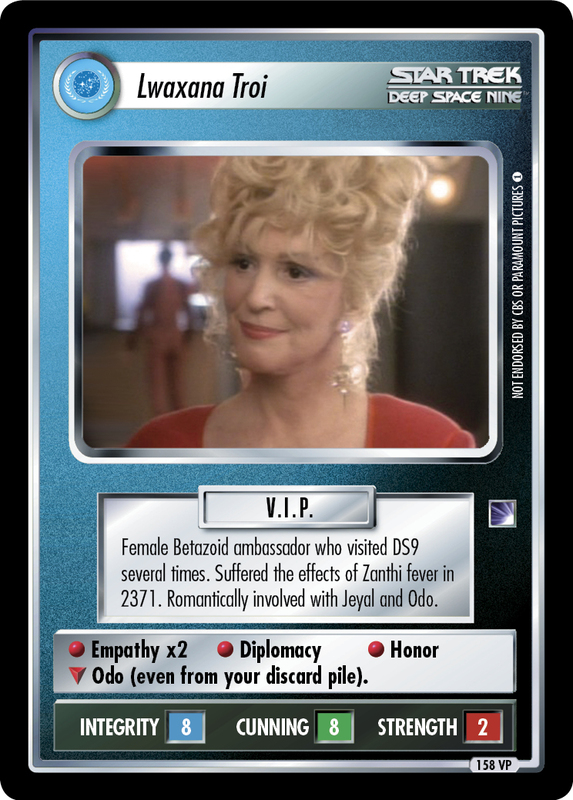 Female Betazoid ambassador who visited DS9 several times. 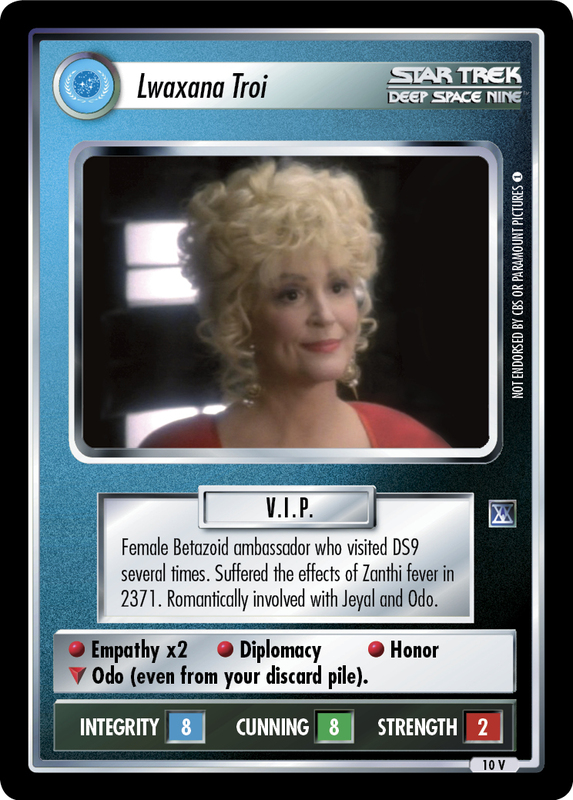 Suffered the effects of Zanthi fever in 2371. 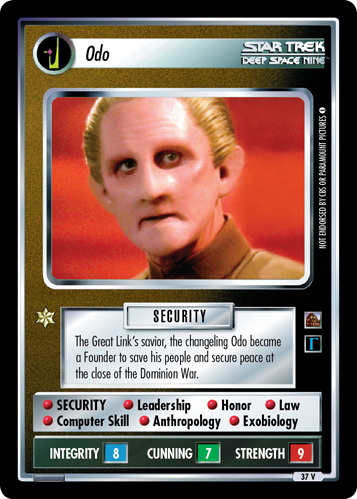 Romantically involved with Jeyal and Odo. 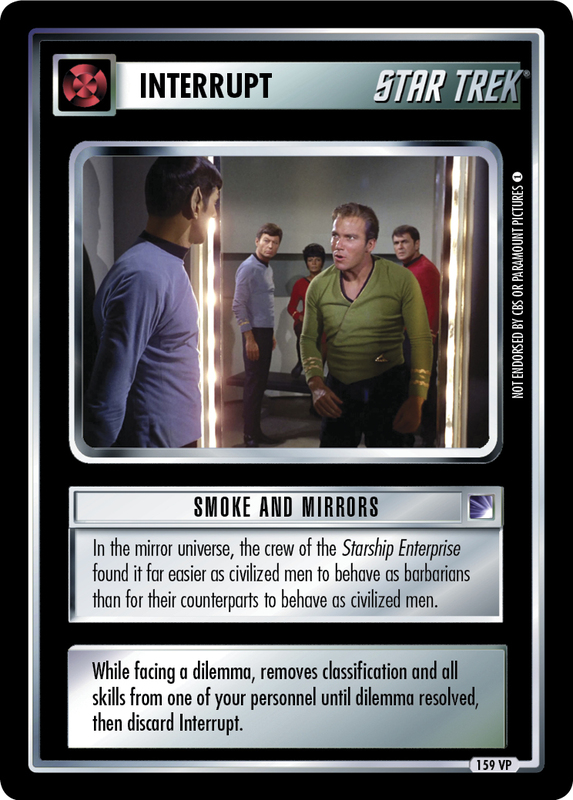 • Empathy x2 • Diplomacy • Honor ∇ Odo (even from your discard pile). 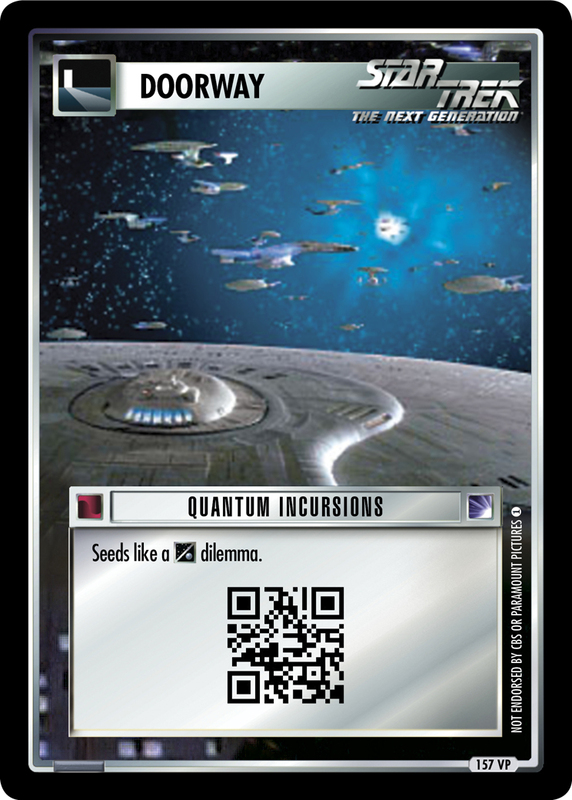 Image Source: Deep Space Nine: "The Forsaken"